The model involves the provision of total consultancy and implementation services from Pre-Adoption stage to Implementation and Graduation; and finally, Post Adoption Stage (Alumni Programme). The service involves a preliminary assessment of the potential school through a School Needs Analysis to identify the school's needs in order to strategize and plan the right programmes that will have most benefit and impact. Upon school adoption and over the next three years, the programmes and activities are implemented and PINTAR Foundation conducts regular monitoring and evaluation on the progress of the activities conducted and share the updates with the company on a quarterly or half-yearly basis, depending on the agreement. PINTAR will also assist to graduate the school after the three year adoption period and introduce the school to PINTAR's Alumni Programme. 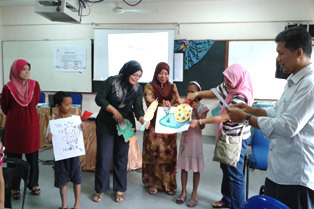 Teluk Datai Resort Sdn Bhd (TDRSB) partnered with PINTAR Foundation in its quest to engage its community through the adoption of SK Ewa, Ayer Hangat, Langkawi in 2011. PINTAR Foundation was appointed by TDRSB to facilitate the execution and implementation of programmes under PINTAR Foundation’s Consultancy Service for three consecutive years. TDRSB is a subsidiary company of Destination Resorts Hotels that owns The Datai Langkawi and surrounding land in Teluk Datai, Langkawi. 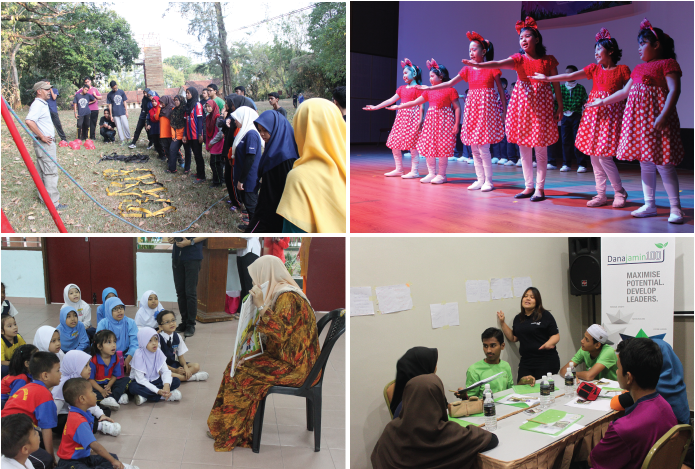 TDRSB had allocated a budget over the period from 2011 until 2013 to conduct various activities including training and workshops on UPSR examination, reading programmes, extra tuition classes, social responsibility activities as well as motivational courses for students and teachers. Throughout the three-year school adoption programme, SK Ewa has shown notable achievements and accomplishments with the increase in passing rate for the Ujian Penilaian Sekolah Rendah (UPSR) from 49.3% before the year of the adoption to 53.57%% in 2013 (last year of adoption). SK Ewa has also received two awards in 2013 – Anugerah Peningkatan Prestasi Tiga Tahun Berturut-turut (UPSR) and Anugerah Peningkatan GPS (UPSR) Tiga Tahun Berturut-turut from the Ministry of Education. On top of these achievements, SK Ewa also achieved 100% in the LINUS rate for its Standard 3 students. A graduation ceremony marking the end of the three-year period of TDRSB's PINTAR school adoption programme was organised by TDRSB held at SK Ewa itself on 10th November 2013. The closing ceremony was graced by Tuan Haji Nordin Osman, Langkawi Education District Assistant Officer and attended by several VIPs which includes Anthony Sebastian, Senior Vice President of Hotel Management Destination Resorts and Hotels (DRH), Che Yon Osman, Head of SK Ewa Parent Teachers’ Association, Tuan Haji Azhar Ahmad, School Principal of SK Ewa and Karimah Tan Abdullah, Programme Director of PINTAR Foundation. It was a proud moment for the students of SK Ewa in Langkawi, as a total of more than 150 parents and 60 students attended the graduation ceremony held at the Dewan Seri Permai of SK Ewa, Langkawi. The English Literacy Programme (ELP) sponsored by UEM is a programme developed with the primary aim of helping the nation’s young generation to become more proficient in the English language. The ELP programme also aims at strengthening English teaching and learning through building teacher capacity using a variety of methods which include: quality delivery structures; supportive intervention; and community involvement. This will be achieved by providing a sustainable development and support system for 100 teachers of English at 50 PINTAR UEM schools to enable them to effectively deliver the new primary curriculum and to have key skills and knowledge to develop early literacy in English. UEM Group had made a commitment to fund ELP, which is essentially a teacher development programme, over a three-year period, from Apr 2012 until Mar 2015. The ELP programme includes various activities from teacher training and mentoring by British Council to activities engaging students and parents of the PINTAR Schools. PINTAR Foundation was appointed by UEM Group in 2012 to undertake the execution and implementation of the ELP programme under PINTAR Foundation’s Consultancy Service.Main focus is on teachers of English in Level 1 of the primary education (Standard 1-3). Funds the ELP programme, manage its staff as volunteers of the community programme. Responsible for the Teachers' development and improvement in teaching and learning approaches. Responsible for the overall management of the programme including to organise, coordinate and monitor programme progress to ensure it achieves the desired results. Responsible for the execution of relevant activities planned for students, parents and volunteer groups of the programme. Among the activities that has been conducted under the ELP Programme are Teachers English Development Programme, Learning English Family and PINTAR Action Song. Danajamin Leadership Programme’ is a programme sponsored by Danajamin Nasional Berhad which focuses on leadership development. 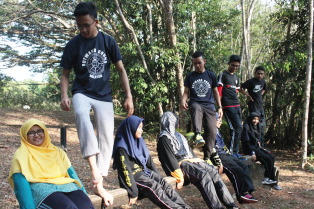 A leadership enrichment programme, Danajamin 100 aims to develop and maximise the potential of Malaysia’s future leaders by providing selected Form 4 students exposure to variety of well-designed engagements to optimise their leadership promise and potential. Spread over a period of 3 years, activities and training modules under the structured programme will focus on character building, leadership, communication, and professional skills. The Danajamin 100 programme will create a diverse and intelligent pool of talent that ca lead effectively and compete successfully for the nation. We also believe that Danajamin 100 will inspire our staff to volunteer and hoe their leadership skills by way of conducting sessions for and interacting with the students – Mr. Mohamed Nazri Omar, CEO of Danajamin Nasional Berhad. The activities and trainings are designed to enhance student’s self-awareness, personal growth and management, leadership and academic achievements. It will also include other aspects such as motivation, team building and values; and skills in presentation and communication. Mentoring of these students will also be an integral part of the programme which Danajamin staff will be part of it.